Biplab Giri is working as an Associate Professor of Physiology in the University of Gour Banga, India since 2016. He taught Physiology as Assistant Professor previously in the Department of Physiology, West Bengal State University, India. He teaches Physiology, Pathophysiology, Pharmacology, Cancer Biology and Stem Cell Biology at the Post Graduate Department in the University. Dr. Giri has substantial contribution to his field of expertise both as a teacher as well as a researcher. He obtained his Masters in Physiology from the University of Calcutta and was awarded D.N. Mallik award (Gold Medal) and University Gold Medal for securing first rank with first class in Physiology. He received his Ph.D. degree in the area of Cancer Biology from the University of Calcutta, India and pursued post-doctoral research work in USA, sponsored by NIH/NHLBI, USA. He pursued his first postdoctoral research on Cancer biology at Baylor College of Medicine, Houston, TX and University of Maryland, Baltimore, MD and second postdoctoral work in Stem Cell Biology and Regenerative Medicine at University of North Carolina, Chapel Hill, NC, USA. He received ‘SEBM Young Scientist Mentee award, USA’ in 2007, awarded by the Society for Experimental Biology & Medicine, USA for his academic excellence and research credential. The research team, he worked with at University of North Carolina, received first prize from the American Heart Association for their research paper on “Wnt1 Mediated Dynamic Injury Response Activates the Epicardium and is Critical for Cardiac Repair” in Louis N. and Arnold M. Katz Basic Science Research Prize session of AHA Conference, USA (Circulation 2010;122:A541). His areas of research interest include Cancer Biology and Cancer Stem Cell targeting, Molecular Pharmacology and Drug development against Cancer-Diabetes condition and other metabolic disorders, Melatonin research in health and diseases, Stem Cell and Tissue Regeneration. He has been handling a number of research projects and grants supported by Government of India and State Government. He has about 15 years of research and 10+ years of teaching experiences. He has published a number of research papers in reputed peer reviewed National and International Journals and contributed invited book chapter to an edited volume published from Springer-Nature, Netherland. 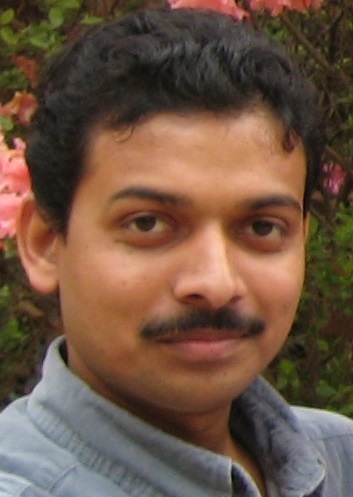 He is also a reviewer in Nature Group, Taylor & Francis, Springer, Elsevier, Wiley, Pubmed Central, iMedPub etc. Journals/Book, Editor of ‘Journal of Stem Cell & Regenerative Biology’ 2016 (Ommega, USA) and Asssociate Editor of ‘Journal of Medical Oncology and Therapeutics’ 2016 (Allied Academies, NC, USA). He has some prestigious professional memberships in different National and International Scientific Societies. Cancer Biology and Cancer Stem Cell targeting, Stem cell Biology and Regenerative Medicine, Drug development against Cancer-Diabetes condition and other metabolic disorders, Molecular Pharmacology & Melatonin research in health and diseases.